Female friendships: What I’ve Learnt! 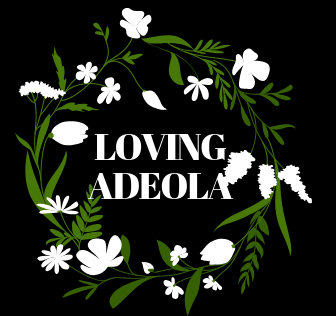 – Welcome to Loving Adeola's Website! I hope you are well and this post hits home like it did for me. In my life, I’ve been blessed with beautiful and strong female friends that pull me up and keep me grounded. Friend – Oreoluwa Adeniji, Model. You will see pictures of them in this post as I magically shot pictures with a few of them to create fashion looks that will inspire you today! 1. Honesty at all times. One lie just leads to another and think of your friends as your supporters. Another set of parameters that God has placed in your life to help you live and make better decisions. Telling one lie and then another about anything is a recipe for disaster. 2. Pace yourself with these friendships. I personally tend to keep to myself if I meet a female and hear any traces of lack of self love because I know they are not happy. Its different if they are asking for help but I don’t go around thinking everybody needs helps, that’s disrespectful. There is a certain discernment I’ve been blessed with so I’m just picky about who I let in my life because if you turn out to really be negative then I’ve done a disservice to self by not protecting my peace. When you meet new females, take it slow. It’s not only with men you do this with. It’s with any relationship – earn it so that you can respect it and it can flourish from there. 3. Handling insecurities among women is also tricky but doable. One tip we are all flowers, no rose outshines the other. You may all just not be on the same confidence level which is okay. If you respect each other, then you know how to handle yourself when one is not feeling as great as the other. Pull her up, remind her that her beauty is unique and with time through self love, she will feel better. 4. Career support: Women, do you understand that we are powerful? So when you see another woman trying to find her purpose, help her within your capacity. Don’t over extend yourself as that ends in resentment. Just be positive, uplifting and cheerlead as they grow. If in different industries, you can actually get involved with each other’s profession and learn something new! Some times you may find that you have inspired your friend to chase their dreams as well. The issue comes when you get in a competitive mindset and start to get ugly with it – so unnecessary. 5. Respect their spouses. Do not get nosy or intrude in their lives! If they ever need to talk to you, and need your input, they will ask. So don’t go offering unwarranted opinion on your idea of what love/dating should look like. Bye now! 6. During fights, maintain respect and give space to reflect. We women are very emotional and that’s okay but we need to be sensitive to each other’s feelings.